"Making Your Song A Reality"
​For two decades, Ray L Baker has been assisting songwriters, singers and instrumentalist began their music careers by producing professional "Demo", "Album Projects" and Accompaniment Tracks. The goal of RLB Productions is to help you fulfill the call that God has placed in your heart and to achieve your dreams. ​As the Producer, Ray L. Baker will oversee all music production. This includes arranging, orchestration, sequencing, songwriting, recording, editing and mixing. You and your project will be treated with respect, integrity, honesty, and professionalism, thus creating a fun and exciting experience as well as the best professional product. The projects that Ray L Baker produces are usually sequenced and recorded at RLB Productions which has an extensive array of Midi instruments and Pro Tools, a computer based digital audio program that provides 24-Tracks of digital recording, editing, and mixing. 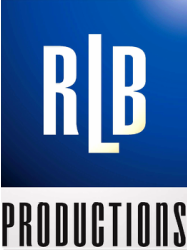 RLB Productions produces professional, orchestrated Sequence Music Track Pre-productions for demos, album projects, radio and video productions as well as plays and drama productions. RLB Productions also produces quality notated lead sheets, and choral and orchestral arrangements. ​RLB Productions has music production packages that are reasonably designed to meet your budget. Profit is not the sole motivation for Ray L. Baker, his desire is for every client to be extremely happy with the project, therefore only projects will be accepted that he believes is right for RLB Productions.